I live near an elementary school, on a street that is often crowded with kids. 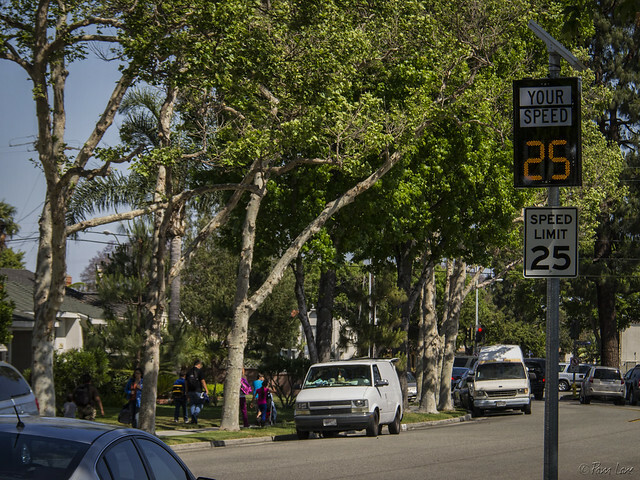 The speed limit is 25 MPH, but a lot of times, cars speed by at 30 MPH and more. It's easy to not be aware of how fast you're driving. So a while back, the city installed two of these speed checks. They're a visual reminder when you're going to fast, and most people slow down as a result. And, the signs are solar-powered!